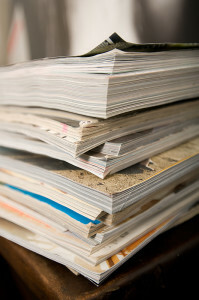 Universities often expect junior faculty to publish nine or more articles in four years. Usually authors hope that the journal will accept their article with revisions or that the journal will request that they revise and resubmit. These tips can help you write an article that may need fewer revisions than you are used to doing. Start your work on the article with a well thought out, clearly articulated statement of purpose. This statement is for you and ultimately for your readers. Ideally, you will write your statement of purpose before you even begin data collection. It will help you keep your focus as you work. Carefully research possible journals. A good place to start is with journals you cite a lot in your references. Read the journal’s Mission and Aims & Scope statements. Sometimes looking at who is on the editorial board is useful, as well. Most articles are rejected because they aren’t a good fit with the journal. 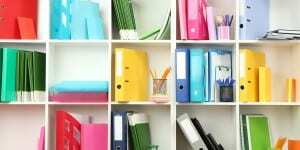 Select your top three journal choices, then put them in order of priority. Consider the journal’s turnaround time and the journal’s prestige rating. Submit to your top choice, keeping the other two as Plans B and C.
Once you have chosen a journal, read the Guidelines for Authors carefully. Note page limits, what kinds of information the editor wants to see in the abstract, what style to use for citing references. Another reason why articles are often rejected is that the authors did not follow the journal’s guidelines. For your top journal choice, analyze the abstracts and introductions from three recent articles with some similarity to yours. How many paragraphs in the intro? Where is the statement of purpose? Does the introduction start out with the broad picture or get specific right away? The Abstract and Introduction are places for you to grab your referees’ attention, so make sure they are easy to understand and follow the journal’s conventions. Set up a schedule for working on your article and keep to it. It’s best to write every day so that you can keep your ideas and what you want to say next fresh in your mind. End strong. Some readers will look at the abstract, introduction, and discussion to decide whether to read the entire paper. Your discussion is the place to highlight the value of your work. Invest in a grammar book. My favorite is Woe is I by Patricia O’Conner, but there are many good grammar books available. Make sure you know when to use the following words: its v. it’s, affect v. effect, who’s v. whose, compose v. comprise. Data is plural. Find readers to give you feedback. Get someone not in your specific field to read a good early draft so you can get feedback on how well you have communicated to a general audience. Get a colleague in your field to read your article before you submit it so that you can get feedback on what you may have overlooked in terms of recent literature, data analysis, etc. Finding readers and being a reader are good ways to build colleagues outside your department. Proofread, proofread, proofread, then send it out. Manuscripts with missing references, typos, and poor grammar and spelling don’t look professional. If you are not a detail person, give your manuscript to a detail person to proof before you send it out. If you start your research with your preferred journal for submission in mind, you may save even more time. Regardless of where you are in your writing, see if you have missed any of the steps above, and tweak your process. Best wishes on more acceptances. © Mary Beth Averill has been coaching academics and other writers from all over the world for over 23 years. She enjoys watching faculty increase their writing acceptance rates. In addition to individual coaching, Mary Beth facilitates writing groups in her office and over the phone. Contact her at 541-349-9999, writeonmba@aol.com, or www.writeonmba.com. 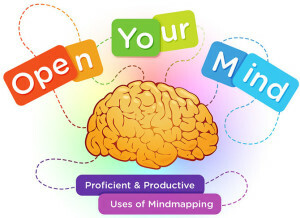 And to help you generate those ideas for your next writing project you will want to access the teleseminar Proficient & Productive Use of Mindmapping Open Your Mind! which is available for immediate download and listening.